Winter sports are in full swing, with both the swimming and basketball teams well into their regular season play. In a meet this week, Emily Grass ’19, Cheney Knight ’19, Stephanie Zhang ’20, and May May Drimer ’20 qualified for the State Tournament in the 400 Freestyle Relay with a time of 4:32.18, a full 6 seconds faster than the qualifying time. This success has carried on throughout the season, with additional team members placing well in both individual and relay events. Swimmers will be back in the pool on January 30 when the team will travel to Roanoke Catholic for one of the last regular season competitions before the conference meet. Varsity basketball has also been hard at work throughout the season, with a comeback rally at their most recent game on Tuesday, January 22 against North Cross. After a close four quarters, the Turtles walked away with the win, upsetting North Cross 39 to 35. 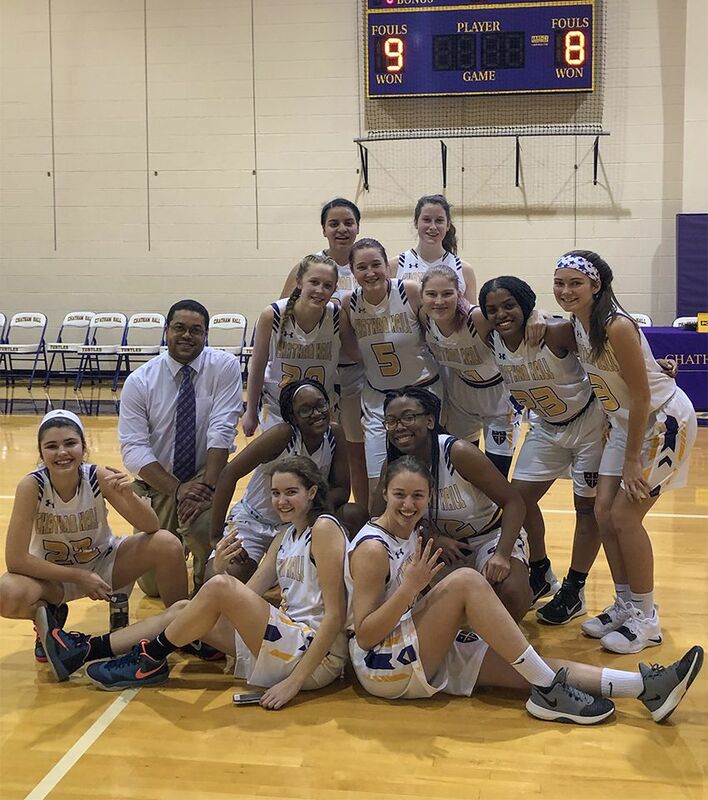 The win was followed by a narrow loss to Virginia Episcopal School on Wednesday, which Coach Ryan Bradley described as, “[the] best game of the season in terms of effort, execution, and never say die.” The team will finish up the week with a home game on Friday against Holy Cross at 5:00 P.M.